Go Rhino takes going off-road to the next level with their Rockline Winch Ready Front Bumper. 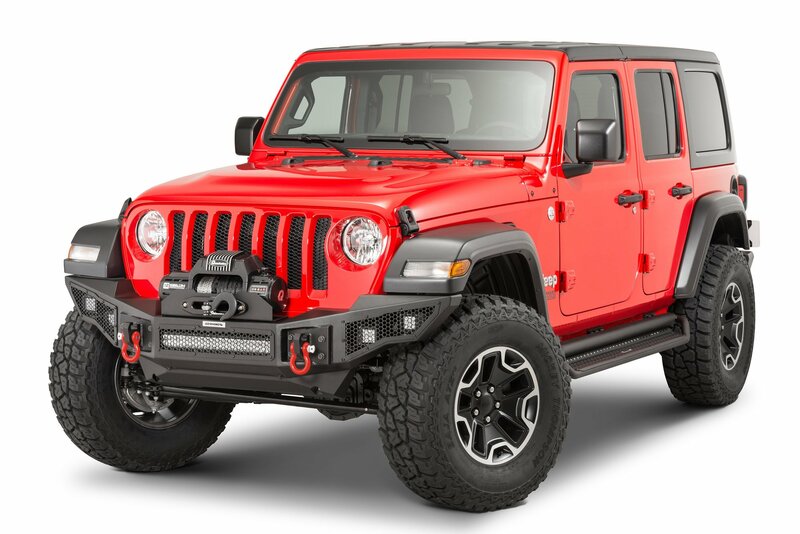 From it's 3/16" steel construction to the ability to mount a 12000lbs winch on it for those sticky situations this bumper gives your Wrangler JK or JL a beefy trail riding look that will have your friends envious. Going out for a night ride no worries this bumper has a cutout for a double row 20" LED light bar along with mounting points to add four 3" cube lights to cut through the darkness showing you a clear safe path. 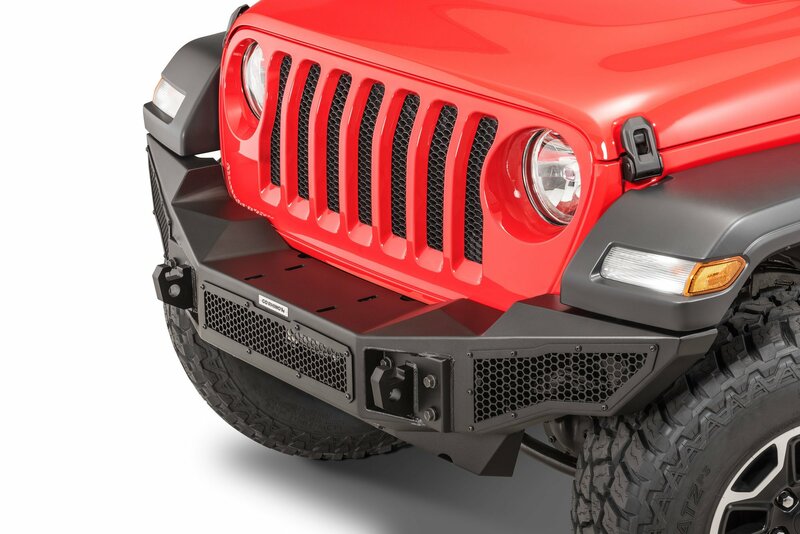 Features: This bumper can mount up to a 12000lbs winch and has 1" thick rhino hooks with cross hole for up to 7/8" d-rings. 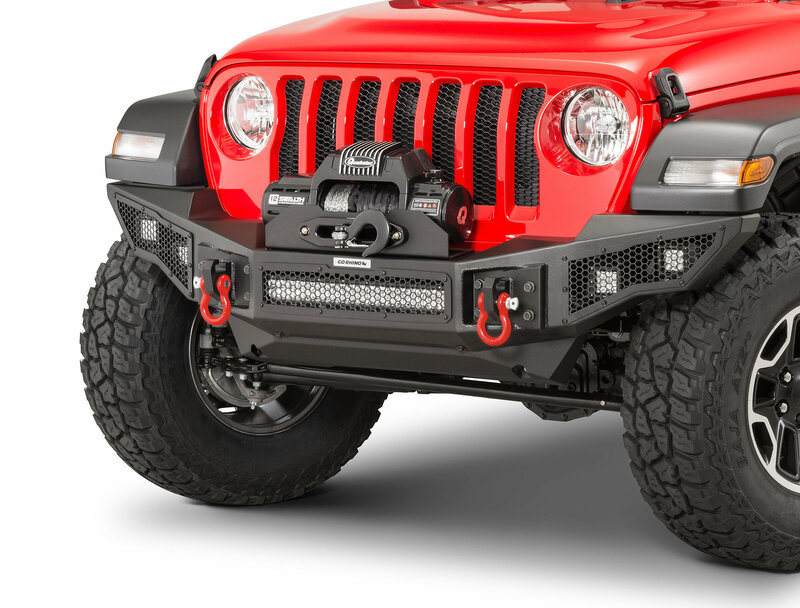 Cut out to hold a 20" double row light bar as well as mounting points to add four 3" cube lights to turn the dark into day when going off-road at night. Hex mesh cover that will protect your lights that you add. Installation: There will be no cutting or drilling with this bumper. It is a direct bolt on application so you will spend little to no time installing it on your Jeep.